J & MP Bell of Glasgow. 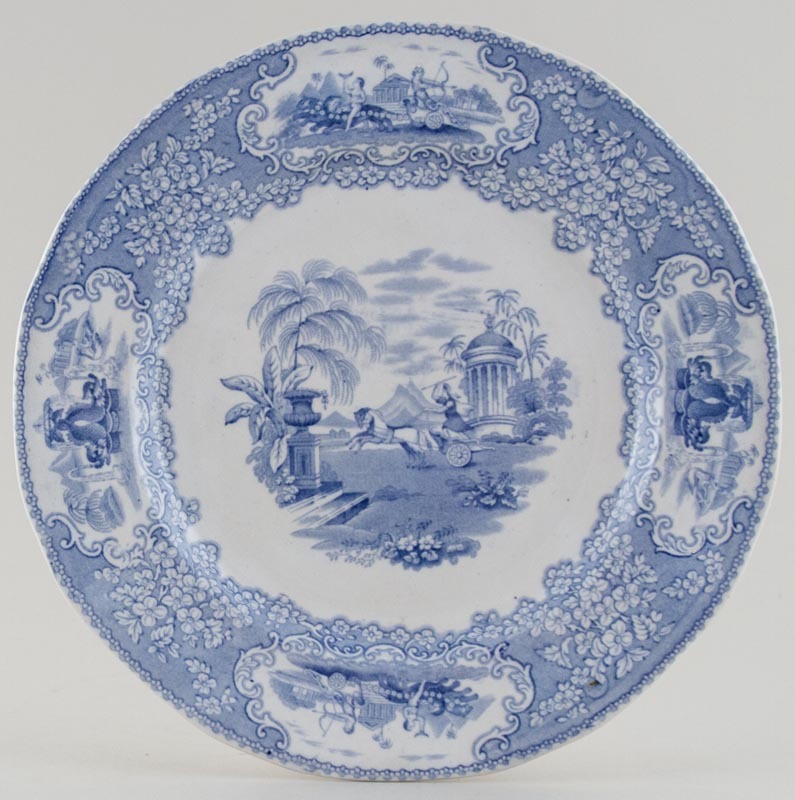 Lovely plate printed in a pale soft blue. Backstamp: Triumphal Car J & MP B & Co and impressed J & MP B & Co Royal. Light all over crazing with a tiny blemish to the rim and on the back a little minor discolouration, overall excellent condition and a lovely plate.